Office Area: 659 Sq. Ft. Parking 1 – 500 Sq. Ft. Located in the southeast portion of the Beltline; access roads include 17th Avenue, 1st Street SE, MacLeod Trail, 11th Avenue and 12th Avenue. It may be difficult to identify a better, and more central location that provides easy access to all City quadrants and City Centre. Public transportation includes Stampede Station LRT and numerous transit routes. The vacant space is functional with two (2) offices, reception and open space in the centre. Windows are a positive feature. The City of Calgary is replacing services and up-grading 17th Avenue and the section immediately in front of the property is substantially complete. These improvements will have a decisive impact on the appeal for the area. Business services and restaurants are features of the area. The Elbow River Casino is ½ block to the South-East and Talisman Centre is two (2) blocks to the South. SPECIAL NOTE: The Landlord has flexibility to potentially provide larger premises if required by prospective tenants. 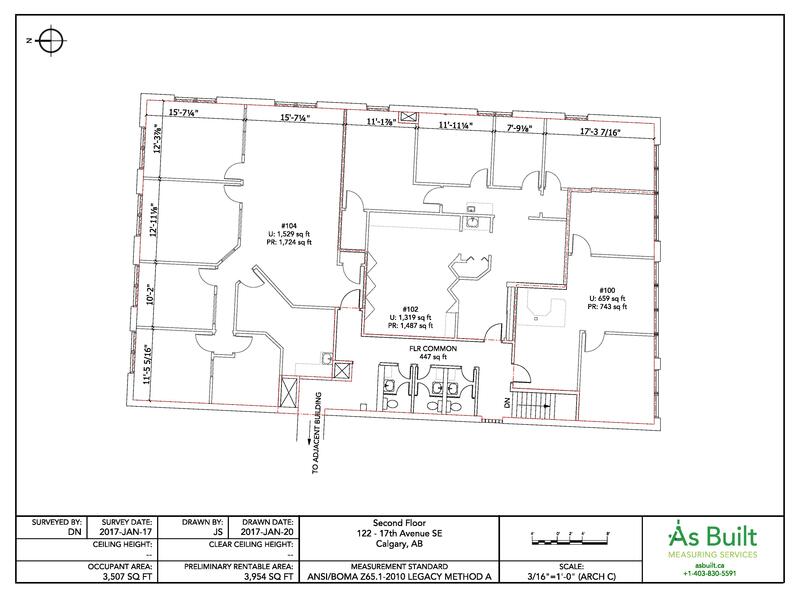 An area of 1,319 Square Feet may beprovided. The subject space is very efficient with four (4) window offices, reception, boardroom and two (2) sinks.